Communication and Professional Relationships in Healthcare Practice focuses on the crucial role that spoken interactions play in shaping relationships in contemporary healthcare practice. The authors apply theoretical concepts of communication to the workplace of healthcare, drawing upon scenarios based in the settings of clinical experience. The book presents a range of interactions (including consultations, team meetings, dialogues and casual conversations) between health professionals, their colleagues and their clients or patients in a variety of settings. Drawing on the latest research in applied linguistics and professional communication, the authors introduce readers to a number of approaches that can be used to analyse these interactions. Using these techniques, readers will discover exactly how central themes of healthcare practice (including trust, empathy, expertise and breaking bad news) are constructed through the communicative choices that participants make in these interactions. Designed specifically for medical, nursing and allied health practitioners with an interest in communication, this book makes the techniques of discourse analysis accessible and provides ample opportunities for individual practitioners to apply this knowledge to their own professional contexts. 3. Common Purposes or Cross Purposes? 5. Polite, Persuasive or Pushy? 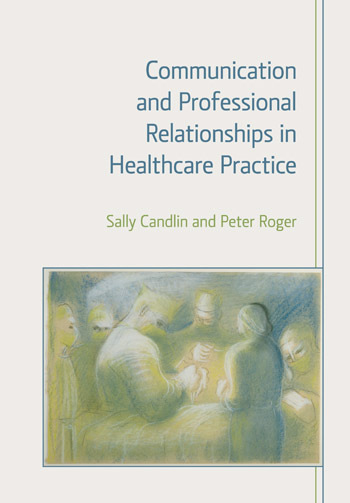 Refreshingly, the book addresses communication not only in interactions between health professionals and patients, but amongst team members and between health professionals in an array of communicatively challenging real world contexts. It brings home to the reader the complexity of communication in healthcare, and it offers practitioners many tools for reflecting on their own and others’ communicative practices, and for enhancing their professional interactions. This book is a must for all levels of healthcare staff. No one in the profession is exempt from this. Staff must take ownership and in order to be effective in communication, this book is key. If teams were to look at the scenarios and work through these they would come out as a more cohesive team and one you would want to work with. This book is also for the individual to stand back and look at how other perceive them and then take this book and go forward.